The destination Uganda features a range of biodiversity along with remarkable hospitable people that have always kept her crown – the Pearl of Africa a treasure among those that have got the opportunity to explore her. 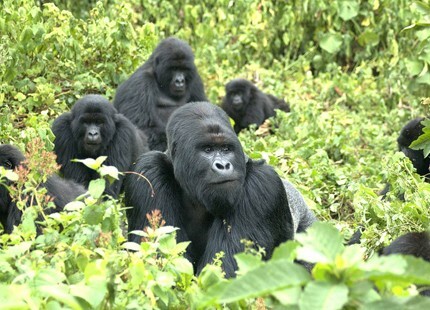 Ranging from Gorilla Trekking Safari tours in Bwindi Impenetrable and Mgahinga Gorilla National Park to the extensive wildlife safaris in Uganda’s famous savannah National Parks of Kidepo, Murchison, Lake Mburo and Queen Elizabeth, there is always an answer to as to why one should take Uganda Safari Tours. The Big five of land animals namely; Lions including tree climbing lions, African elephants, African Buffalo, the African Leopard and Rhinos combine with others like Rothschild Giraffes, Cheetah, the Jackson’s Hartebeest, Impala and Elands among others to generate a remarkable game viewing experience on Uganda Safari tours. People and Culture: Uganda is a heterogeneous country with 65 tribal groups and these people feature varying tribal customs, practices and traditions. Some organise festivities at given times such as the Bagisu and their Imbalu ceremony among others. There are unique tribal groups that endemic to Uganda like the Indigenous Karimojong while the Batwa one of the last surviving groups of short people in the world also call Uganda home. In Uganda’s lush tropical forests of Budongo, Kibale, Semliki, Kalinzu and Kyambura, there live the great Chimpanzee populations in the world. 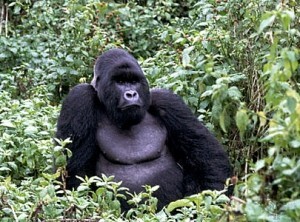 The travellers interested in Chimpanzees have then got a reason to undertake a safari to Uganda. Physical Environment: Uganda is endowed with rich physical features ranging from the snow capped Mountains like Mount Rwenzori towering to 5,109m above sea level and standing as the third highest in Africa to Mount Elgon with one of the world’s largest Caldera, the Virunga Mountain Chain; large expanse fresh water Lake Victoria – the number one in Africa, followed by Kyoga, Albert, Edward and George; the world’s longest Nile River; the Great Rift Valley extensive flats intercepted by breathtaking escarpments and the remarkable vegetation marked by extensive open savannah and dense tropical forests. These combine to give an un-doubtable reason for your safari tour in Uganda. It can be noted that there are a range of safari operators that organise Uganda safaris and tours Uganda. These companies organise speciality packages to specific destinations like gorilla forest of Bwindi or wildlife safaris to Queen, Kidepo or Murchison. However, the diverse Uganda Safari Itineraries are also organised covering for example gorilla trekking, wildlife viewing and Chimpanzee trekking. Culture and adventure can always be incorporated. The major aspects followed in choosing the right Uganda Safari company is knowing whether it is registered with the government and if it is a member of the Professional Associations like Association of Uganda Tour Operators. Its credibility can viewed on the reviews of its past clients on Trip Advisor. Some of the Uganda Safari companies that received the Trip Advisor Certificate of Excellence for this year include Prime Safaris & Tours Ltd among others. The Queen Elizabeth National Park is positioned to the West of Uganda bordering the districts of Kamwengye, Kasese, Rukungiri and Bushenyi. The park is 417km about 7 hours drive from Kampala covering 1978km2 land and water surface. This Uganda Safari site features beautiful water bodies including Lake Edward, Lake Gorge and their adjoining Kazinga Channel. Upon establishment in 1952, the park was known as Kazinga National Park and the change of name occurred two years later in commemoration of the visiting Queen of England. Queen Elizabeth National Park features rich wild game including the four of the Big five namely Cape Buffalo, the elephants, Lions including the tree climbing lions in its southern sector of Ishasha and Leopards; other wildlife like Chimpanzees, the Hippos, Nile crocodiles and a range of antelopes. With over 600 species of birds, the Uganda Safari Tour site of Queen Elizabeth National Park features the greatest concentration of bird species in East Africa. Travellers on Safaris in Uganda to Queen Elizabeth National Park can stay at Mweya Safari Lodge and Katara Lodge for Luxury, Enganzi Lodge, Bush Lodge, Kasenyi Safari Camp and Marafiki Safari Lodge for Midrange and Pumba Safari Cottages or Kazinga Channel View Resort for Budget. Murchison Falls National Park is positioned to the North West of Uganda standing as the largest National Park in the country covering 3,840km2. This Uganda Safari tour site was gazetted in 1952 and features the world’s powerful waterfall – the Murchison Falls where the mighty Nile River plunges into a less than 7m gorge before falling 43m below generating a thunderous roar and a plume of spray marked by a trade mark rainbow. Besides the falls and the Nile River which is also the world’s longest, Murchison Falls National Park features extensive savannah habitats that is home to the Big five of the wild game namely; Lions, Leopards, Elephants and Buffalos with the Rhinos now extinct in the park itself but thriving in the adjacent Ziwa Rhino Sanctuary under the breed and restock programme. The other amazing wild game like the Rothschild Giraffes, Jackson’s Hartebeest, Uganda Kobs among others combine to make Murchison an interesting site to explore on safaris and tours in Uganda. It is also a good destination to explore the vulnerable and rare Shoebill Stork. Travelers on Safaris in Uganda to Murchison Falls National Park can stay at Paraa Safari Lodge and Bakers Lodge for Luxury, Murchison River Lodge, Pakuba Safari Lodge, Fort Murchison and Bwana Tembo Safari Camp for Midrange and Heritage Safari Lodge or Red Chilli Rest Camp for Budget. Kibale Forest Park National Uganda is positioned to the west of Uganda covering 795km2 with its highest point being 1,590m above sea level and the lowest being 1,100m. This Uganda Safari tour destination is endowed with great biodiversity including 351 species of trees some of which are over 200 years old and 55m tall. Kibale is noted to be among the foremost research sites in Africa with focus on Chimpanzees, flora, other primate species and the general ecosystem. A range of 70 species of mammals thrive in the park along with 13 species of primates that include Chimpanzees. The Birds range to 375 species including the Green-breasted Pitta and Kibale-ground Thrush. Travellers on Safaris in Uganda to Kibale National Park can stay at Primate Lodge, Kyaninga Lodge and Ndali Lodge for Luxury, Kibale Forest Camp- Safari Tent and Chimpanzee Forest Guesthouse for Midrange and Rwenzori View Guesthouse for Budget. 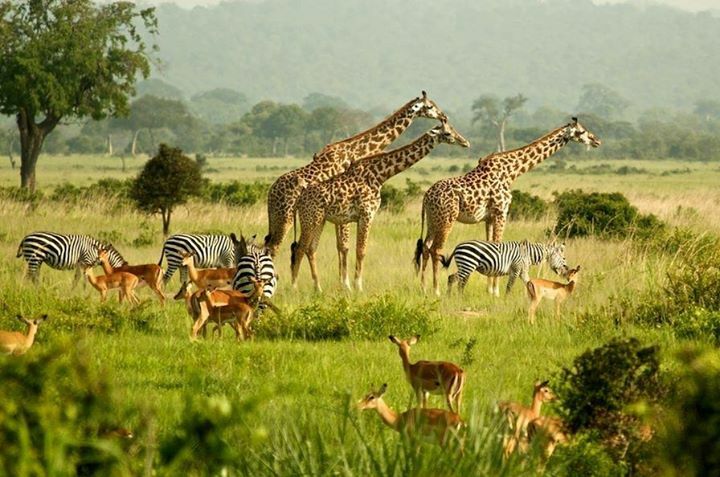 Kidepo Valley National Park is positioned to the far north east of Uganda covering a geographical spread of 1,442km2 with an altitude range of 914m to 2750m above sea level. The major rivers in the Park include; Narus and Kidepo which are seasonal and drying off in the dry spells leaving water pools which sustain wildlife in the dry season. Kidepo Valley National Park Uganda is one of the virgin and authentic wild Uganda Safari sites featuring extensive beautiful savannah and a range of wild game some of which are limited to it on Ugandan Standards. The native surrounding community include the Indigenous Karimojong and the Pastoralist Karimojong that have thrived in this area for centuries past. The Uganda Safari undertakers visiting Kidepo National Park can stay at the Luxury Apoka Safari Lodge, Ng’Moru Wilderness Camp for Midrange and the Apoka Rest Camp for Budget. Lake Mburo National Park named after Lake Mburo which is fully within the park boundaries is located in the south west of Uganda standing as the smallest of the Uganda’s Savannah Parks marked by impressive acacia vegetation and protruding ancient Precambrian rocks that date back to 500 million years ago. This Uganda Safari tour site features 350 bird species including the threatened Red-faced Barbet and the rare African fin-foot. Lake Mburo National Park has the only population of Impalas in Uganda, the largest concentration of Burchell’s Zebra in Uganda, the Eland antelope, Rothschild Giraffe, Topis, waterbuck, Hyenas, Leopards, Buffalos among others. The park covers 260km2 and can be accessed at 240km about 3 – 4 hours drive from Kampala. The travellers on safaris and tours in Uganda to Lake Mburo National Park can stay at Mihingo Safari Lodge for Luxury, Rwakobo Rock, Lake Mburo Safari Lodge or Arcadia Cottages for Midrange and Eagles Nest and Rwonyo Camp for Budget. The Semliki National Park Uganda is positioned to the west of Uganda covering 220km2 with an altitude range of 670 – 760m above sea level. The Park was gazetted in 1993 upgrading from being a forest reserve status that it had acquired in 1932. Semuliki National Park features the largest tract of true lowland tropical forest in the region of East Africa featuring 441 species of birds along with 53 mammal species. The Uganda Safari tour destination of Semliki National Park Uganda has a loveliest forest tract with much of the Congo forest biome and ancient forest tract since it is noted to have survived the last ice age that occurred 12 – 18,000 years ago. The Park contains the two hot springs both male and female with bubbling hot water that spur up to 2m high and boiling to over 100 degrees Celsius noted to have formed as a result of the subterranean forces that have been shaping the rift valley for the last 14 million years. The travellers to Semliki National Park can stay at Semuliki Safari Lodge. Located to the East of Uganda, Mount Elgon National Park is one of the prime Uganda Safari tour mountaineering sites stretching to 1,121km2 comprising of Africa’s 8th highest Mountain though it was at one time the highest on the continent. Apparently, it takes the fourth position in East Africa but has one of the world’s largest volcanic caldera. Mount Elgon rising to 4321m above sea level presents impressive adventure climbing experience with the shortest route – Sasa Trail taking 4 days. The Mount also features the World’s largest volcanic base stretching to 4000km2. The Ndorobos, Bagisu and the Sabiny are traditional native tribes surrounding the Mountain and have over the years depended on it for survival including the extracting on Bamboo Shoots locally known as Malewa for food. Culturally, the Bagisu consider Mount Elgon to be an embodiment of their founding father Masaba. 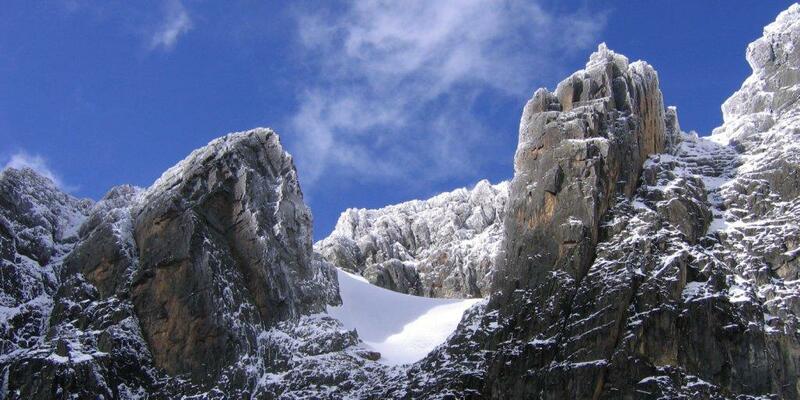 The Rwenzori Mountains National Park stands as the third highest peak in Africa and the highest Mountain in Uganda rising to 5,109m above sea level with glacial peaks. Established in the year 1991, the Rwenzori Mountains National Park was later declared a World Heritage Site in the year 1994. The Mountain is remarkably known for its unique flora with five distinct vegetation zones including the giant Lobelia, colourful mosses and giant tree heathers. The Park shelters the 120km long along with 65km wide Rwenzori Mountain range and it is a home to 70 species of mammals and 217 species of birds. The native Bakonzo and Bamba have inhabited the foot hills of Rwenzori Mountains for centuries and feature considerable cultural attachment to the park. The question of where to stay is common among those planning safaris in Uganda but it is very important to note that the destination Uganda now features a range of accommodation types that can be used. Ranging from Contemporary five star hotels and Safari Lodges to basic camping, the variety of accommodation options caters for the varying interests of the travellers. There Permanent Safari Camps with ensuite tents, Safari lodges with en suite Cottages, Resorts, hotels in urban centres and sites for basic camping equipped with shared ablutions. Therefore, where to stay would be determined by the budget that a traveller planning a safari to Uganda intends to spend since the accommodation is categorised as Luxury which is pricy, Midrange which is moderately priced and Budget that is of low cost. The destination Uganda can be visited throughout the year though there are some preferred periods for Uganda safari tours. The rainy season which occurs from end of March through April and May and in the month of November result into the growth of vegetation including grass in the savannah parks which in turn make the game viewing a little difficult. In the dry season which appears in the months of December through January to February and from June through July, August to early September, the grass is short and the vegetation is worn off presenting extensive open views of both the landscape and the wild game. In addition, during the dry season, the animals tend to gather around water points which offers easy reach to them and thus more rewarding wildlife views.